When you hear the word "newspaper", what comes to mind? The US government shutdown? Rising petrol prices? The too-good-to-be-true pay rise according to today's horoscope column? I don't read newspapers. I've been convinced since young by my mom that newspapers are filthy things because the cheap ink transfers too easily onto almost anything. And that you'll end up with food poisoning should you not wash your hands after flipping through The Star. And you'll have to go to the doctor's. And get an injection. So to avoid any chances of getting pricked by a syringe, I choose to log on to BBC and The Telegraph daily without fail like a true kid of Generation Y instead. The cheap ink is perfect for DIY nail art yay. The colours I used (L to R): The Face Shop WH001, Skin Food BW704, Topshop Amethyst, Topshop Pool Party, Ciate Jewel 083, The Face Shop 05. Always, always start off with a basecoat. Stained nails make you look like a hobo, sorry. 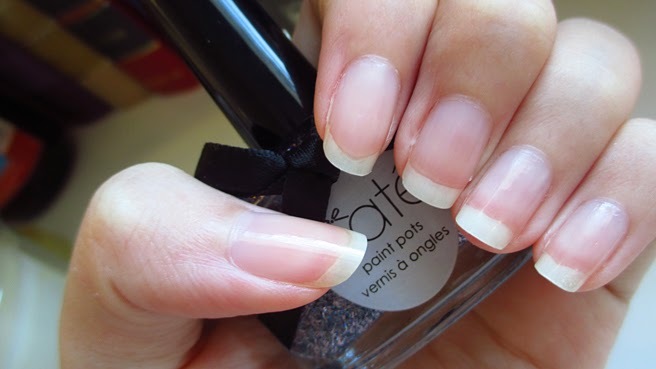 Apply two coats of white polish so that it's perfectly opaque. And two coats of whatever colour you like your accent nail to be. Now, let your nails dry. By dry, I do mean 100% dry. You do not want to proceed with half-dried polish, as they WILL smudge, and nobody wants newspaper bits stuck onto their nails, yes? I actually went to bed, lol. So that's like 9 hours of polish-drying time. Okay. 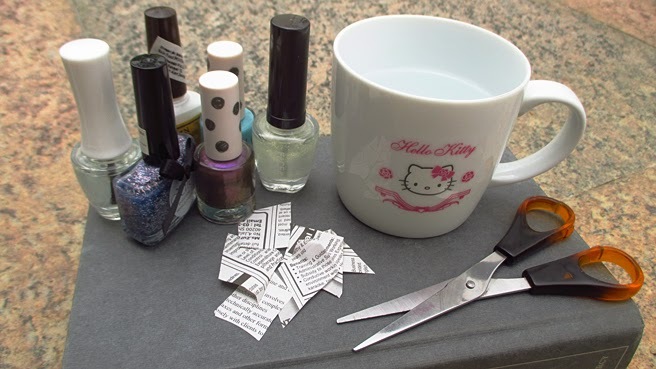 Cut out 10 newspaper strips, making sure they are large enough to cover your entire nail. Fill the cup with water or alcohol. TIP: Alcohol works better. You can use rubbing alcohol or vodka (ahem), but I'm Asian and I do not like to waste my money like that. Water is cheap. Cheap is good. Chuck the cut-outs into the water! 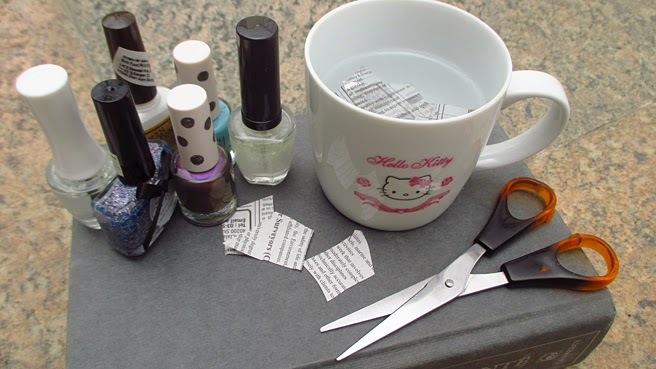 Then, taking a piece of drenched newspaper strip, carefully place it onto your nail (text side down, duh). Once you're happy with the position, press it down harddddd. You want the words to transfer! Then repeat on the rest of your nails. 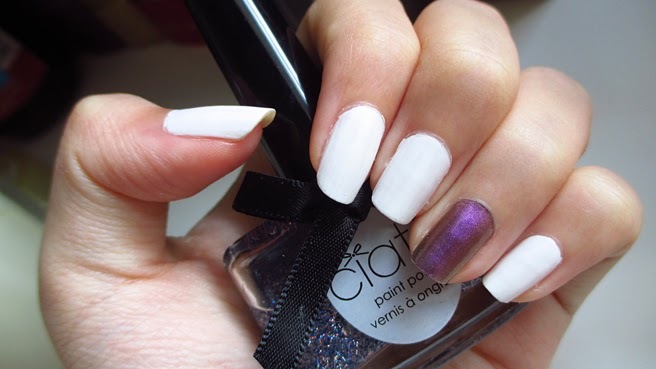 While waiting for the topcoat to dry, go crazy with your accent nail! I painted a turquoise stripe and did a French-tip using Ciate's Jewel. 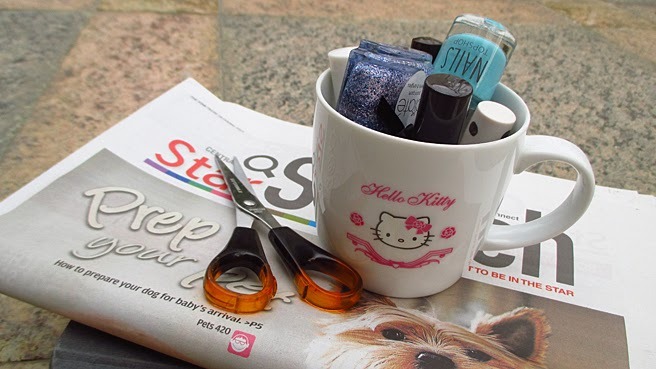 Here's another picture of my attempt at newspaper nails (September 2012). It's so quick and fun ehmagerd. 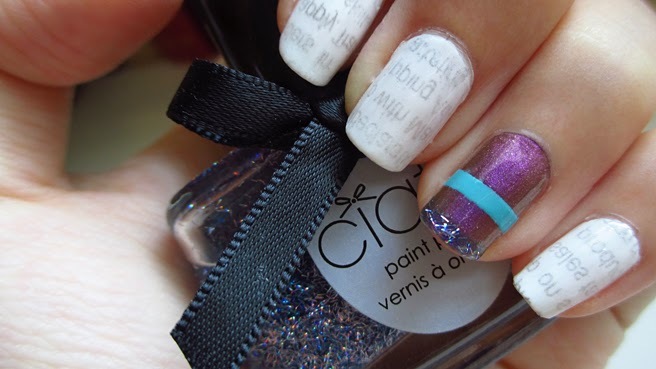 Plus, it's totally customisable in the sense that you get to choose what words go on to your nails! I've tried this once with rubbing alcohol. It transferred well, but I wasn't a fan of the smell. Maybe you could try using water? I hope I made sense haha! How to act like a Malaysian. What's in my everyday bag? It's October Third - Mean Girls.